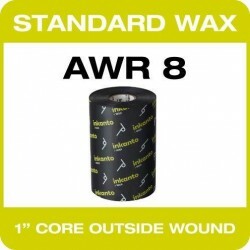 AWR 8 is Armor’s latest development for their ever increasing thermal transfer range. A general purpose ribbon at a competitive price, but still giving unrivalled excellence for high speed printing on various grades of paper. The print quality is exceptional as is its resistance to smudging. 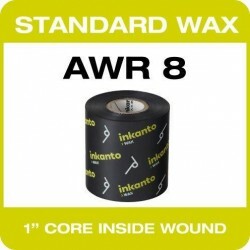 Most commonly used when printing onto Uncoated and Coated Paper / Tag stock. 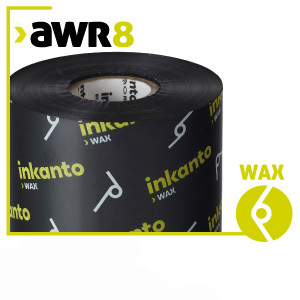 AWR 8 is a general purpose ribbon used for label printing where volume requires a competitive ribbon. Excellent print quality on picket barcodes and text. 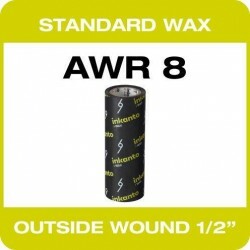 AWR 8 - Outside Wound on a 1" core. Boxed in 25's.